Successful garage sales require good planning, andcanvas tarpsmake the whole process run more smoothly. These are 5 good reasons to pick up a supply of tarps before you greet your first customers. Create a more attractive atmosphere:If you dont happen to have a garage, you may feel like you are stuck with displaying your possessions strewn across your front lawn. Canvas tarps are a quick and inexpensive way to put up a temporary structure that will show off your goods in a better light. People passing by are also more likely to stop and see whats going on. Organize the merchandise:Retailers put a lot of thought into categorizing their inventory because it makes it easier for customers to browse and buy. Tarps give you a place to hang signs above tables where its easier for customers to see them. You can also divide up the area to create different sections for childrens toys and kitchen wares. Contain traffic:You may be worried about having strangers wandering around your property. With a designated area you can feel more at ease because there will be less risk of people straying out of sight and harming your property or injuring themselves. Be prepared for all weather conditions:Our tarps are treated with UV-resistant and water-resistant chemicals so they are suitable for all kinds of outdoor conditions. Everyone will enjoy shelter from sunburn or rain showers. Encourage repeat business:If everything goes well, it will be easy to put up your tarps again for the next sale. Meanwhile, you can use them for all kinds of other tasks around your house and yard. 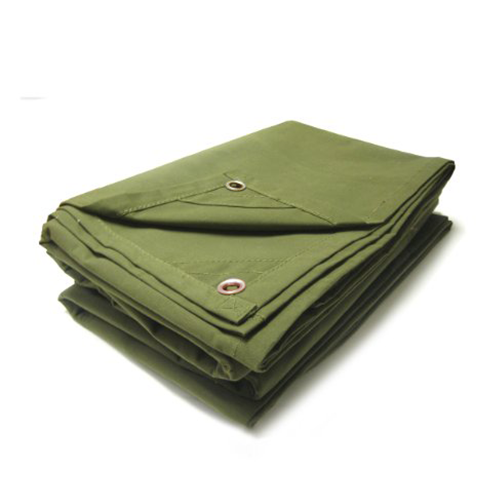 Contact usfor an extensive collection of canvas tarps. Ordering is easy, and our friendly, knowledgeable customer service representatives are happy to help you every step of the way. This entry was posted in canvas tarps and tagged tarpaulins, tarps on December 26, 2013 by CanopiesAnd Tarps.